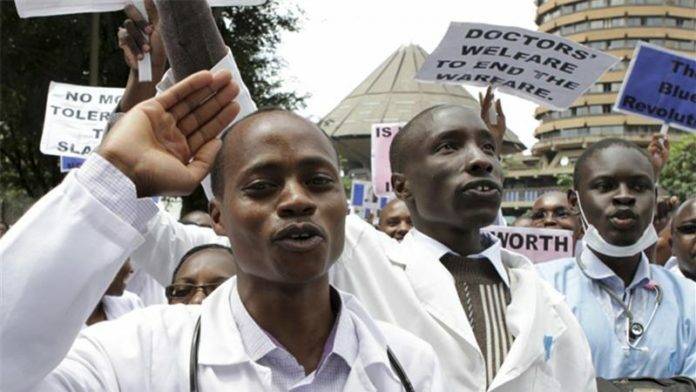 A day after President Uhuru Kenyatta called upon health workers to have mercy on patients in public hospitals, Kenya Defense Forces’ doctors and nurses have been traced at the Kenyatta National Hospital. It is alleged that the President deployed the KDF as a move to handle the emergency situation at the hospital. This comes even after 290 health specialists at the KNH private wing withdrew their services today (Friday) to join the ongoing strike. KNH Deputy Director of Clinical Services Bernard Githae has confirmed the presence of KDF military doctors at the hospital, saying that it was normal. The doctors-nurses strike that kicked off on Monday is on its fifth day now with no amicable follow up from the government.